The Cowboys picked up an option on receiver Allen Hurns earlier today, and that wasn’t the only one they exercised. 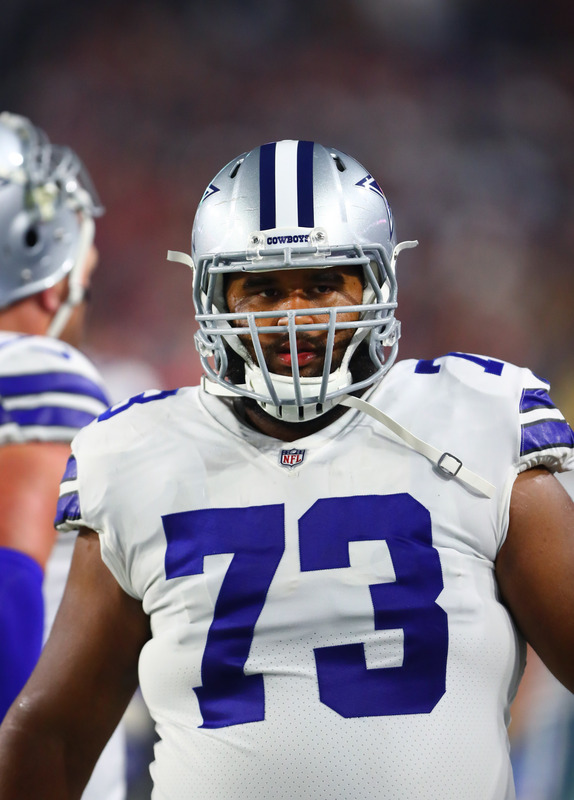 The team is also picking up their options on center Joe Looney and linebacker Joe Thomas, a source told Calvin Watkins of The Athletic (Twitter link). 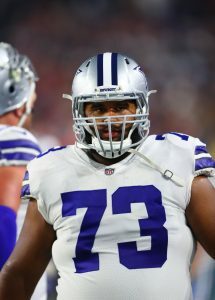 Looney has been with the Cowboys the past three seasons, and was a backup interior lineman the first two. After starter Travis Frederick missed the entire 2018 season, Looney ended up starting all 16 games. He signed a two-year deal with the team last March, but the second year was a team option that needed to be decided on by March 13th. Looney will get paid a base salary of $1MM in 2019 with incentives worth up to $500k, according to Mike Fisher of 105.3 The Fan. Assuming Frederick is able to return in 2019, which looks to be the case, Looney should return to a reserve role. He received poor marks from Pro Football Focus last year, and was ranked the 32nd best center in the league by PFF. Thomas played sparingly on defense last season, but was a contributor on special teams. He signed a two-year deal worth up to $3.6MM last March. The Cowboys have agreed to a two-year deal with free agent linebacker Joe Thomas, according to Todd Archer of ESPN.com (Twitter link). The pact is worth up to $4.6MM, tweets Jon Machota of the Dallas Morning News. Thomas, not to be confused with the former Browns tackle of the same same, is now on the open market after the Packers declined to tender him as a restricted free agent last week. The 26-year-old Thomas, who spent time on the Dallas practice squad in 2015, started seven games and played 60% of Green Bay’s defensive snaps in 2016, but saw his playtime drop to 13% last season. The Cowboys appear to be set at linebacker with a trio of Sean Lee, Jaylon Smith, and Damien Wilson, so Thomas won’t see playing time right off the bat. However, both Lee and Smith have dealt with serious injuries in the past, so Thomas will offer depth in case either goes down again. The Cowboys met with wide receiver Deonte Thompson and linebacker Joe Thomas on Wednesday, according to Todd Archer of ESPN.com (Twitter links). Dallas’ wide receiver depth chart is fluid at the moment, as the Cowboys haven’t yet asked No. 1 pass-catcher Dez Bryant to accept a pay cut in order to remain on the roster. It’s unclear if Bryant will even be forced to take a pay reduction, but the Cowboys have other problems at receiver beyond Bryant. Terrance Williams managed only 568 yards in the first year of a four-year extension, while Brice Butler is an unrestricted free agent. Thompson played for two teams in 2017, as he signed with the Bills in October after being released by the Bears. Overall, last season marked Thompson’s best campaign to date, as he set career-highs in both receptions (38) and yards (555). 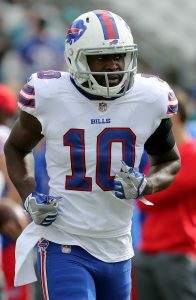 Thompson, 29, has also reportedly drawn interest from the Broncos and the incumbent Bills, but his visit with the Cowboys will mark his first official free agent meeting. Thompson wasn’t the only receiver scheduled to meet with the Cowboys today. Former Jaguars wideout Allen Hurns is taking the first visit of his free agent tour with Dallas, while Dontrelle Inman and Justin Hunter were also expected to be in Arlington. Thomas, not to be confused with the former Browns tackle of the same same, is now on the open market after the Packers declined to tender him as a restricted free agent last week. The 26-year-old started seven games and played 60% of Green Bay’s defensive snaps in 2016, but saw his playtime drop to 13% last season. Thomas would serve as depth and contribute on special teams if signed by the Cowboys. 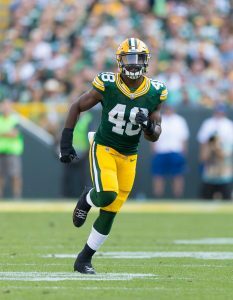 The Packers have placed defensive end Josh Boyd on season-ending IR, as Rob Demovsky of ESPN.com writes. In a related move, Green Bay has plucked Joe Thomas off of the Cowboys taxi squad. Boyd, a fifth-round pick in 2013, has played in 26 career regular-season games. Unfortunately, on Sunday, he suffered an ankle injury and an MRI revealed torn ligaments. Boyd appeared in 15 games (4 starts) for Green Bay in 2014, racking up 22 total tackles and one pass deflection. Thomas was released by the Packers at the end of the preseason and spent part of last year on their taxi squad. Now, the Packers have seized the opportunity to welcome him back with Sam Barrington on IR.